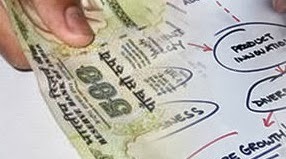 Latest data made available from authoritative sources in Gujarat’s finance department have revealed something about which the state’s policy apparatus should be worried: A whopping 21 per cent of the annual plan allocation for the last financial year, 2012-13 remained “unspent” – or possibly diverted to the “non-plan” sector. As against non-plan expenditure, which is made of all the “necessary” expenditures which the Gujarat government must make, including payment to nearly six lakh government servants, interests on debts and other such obligations, annual plan allocation is made for satisfying the developmental needs of the state in fields as education, health, social justice, woman and child development, and amelioration of the backward areas. The annual plan, finalized at a high-level meeting between Planning Commission vice-chairman Montek Singh Ahluwalia and Gujarat chief minister Narendra Modi, was fixed at Rs 51,000 crore. This was Rs 401 crore higher than the annual plan fixed by the Gujarat government at the state of the state’s budget session in February 2002 – Rs 50,599 crore. The sources have revealed that despite the upward revision, the state government could spend only Rs 41,154 crore, which means that a huge 20.98 per cent of the annual plan was “diverted” towards non-plan expenditure, or just remained unspent. There is no explanation anywhere, including in the state’s Fiscal Responsibility statement, which explains its budgetary performance, as to how this has happened. The increase in the annual plan for 2012-13 by Rs 401 crore was undertaken after Ahluwalia insisted that Gujarat government should pay “more attention would be needed in achieving more sustainable growth in agriculture and for addressing the problems of malnutrition and out of school children”. He added, “the state needs to further promote public private partnership in infrastructure development as the Centre was aiming at 50 per cent investment from private sector in the sector.” A higher allocation was also made towards a horticulture initiative, which Gujarat government told the Planning Commission that it was planning to launch. In fact, sources point out, the failure to spend the annual plan happened despite the fact that Gujarat government allocated Rs 42,057 crore as budgetary support to it, and another Rs 9,000 crore as “non-budgetary support”, thereby taking the total amount allocated in favour of the annual plan to Rs 51,057 crore, Rs 57 crore more than what the Planning Commission had agreed upon. What is interesting is that this was 23.41 per cent higher than the allocation made by the state finance department for the annual plan of the previous year, 2011-12 – which was Rs 34,429 crore. Now, for the fiscal 2013-14, the Gujarat government has risen its annual plan even higher – to Rs 59,000 crore, which is higher by 15.68 per cent compared to the previous year. A further analysis of the annual plan suggests that Gujarat government “spent” a huge amount of whatever was allocated by the state assembly for 2012-13 in just one month – March 2013. Figures up to February 2013, a month before the financial year ended, suggest that Gujarat government had spent just about Rs 29,743 crore, which is just about 58 per cent of the total annual plan for 2012-13. Interestingly, by February 2013, the state finance department allocated Rs 41,326 crore – even this allocated amount could not be spent in by the month end. This, apparently, was the main reason why the overall allocations for the annual plan refused an increase and remained stagnant in the next month, when a whopping Rs 12,314 crore – or around 18 per cent of the allocation – was spent in just one month. Significantly, the failure to spend the amount happened at a time when the state’s own revenues drastically rose during 2012-13. The Gujarat government’s tax revenues – which mainly include value-added tax (VAT) – rose by 19.12 per cent over the previous year, from Rs 44,250 crore to Rs 52,549 crore. Besides this, in 2012-13, Gujarat government received Rs 9,200 crore as non-tax revenue (against various services provided in sectors like education, health, water and so on), up by 7.14 per cent over the previous year. This apart, it received another Rs 9,200 crore as Central devolution (against central excise, customs duty etc., which are Central taxes), and Rs 8,673 crore as Central grants – both rose by 19.45 per cent and 20.15 per cent, respectively.